Welcome to the 1st Spring Edition! We hope that you are finding the Library Newsletters useful! As always, if you need help researching a book, or finding just the right book for a teaching unit, please let your local D105 librarians know. Happy reading! In February and March, interested primary students voted for their favorite book from 2014 Illinois Monarch State Readers' Choice Award List. The Illinois state winner is "The gingerbread man loose in the school" by Laura Murray. Wonder by R.J. Palacio won both the Bluestem Award and the Caudill Award in Illinois' Reader Choice programs. Distribution lists have been added! All district 105 email distribution lists have been added to Google Docs so that you can share your documents easily with a group. For Google docs help, ask your friendly Library Media Specialist! 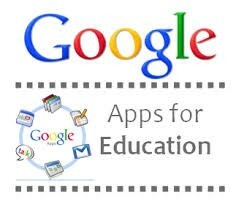 Go to this great resource - http://www.googleappsforedu.com/ - for great tips and tricks on using google docs in the classroom. Check out one of the recent tips which is about "Google Story Builder": https://docsstorybuilder.appspot.com/builder. April is National Poetry Month! Click on the following link for a variety of poetry resources: http://theipl.wordpress.com/2013/04/01/the-link-national-poetry-month/. The 2014 Newberry Award winner is Flora and Ulysses by Kate DiCamillo. The Newbery Medal was named for eighteenth-century British bookseller John Newbery. It is awarded annually by the American Library Association to the author of the most distinguished contribution to American literature for children. 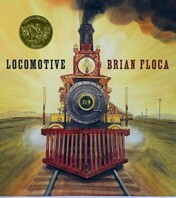 The 2014 Caldecott Award winner is Locomotive by Brian Floca. The Caldecott Medal was named in honor of nineteenth-century English illustrator Randolph Caldecott. It is awarded annually by the American Library Association to the artist of the most distinguished American picture book for children.